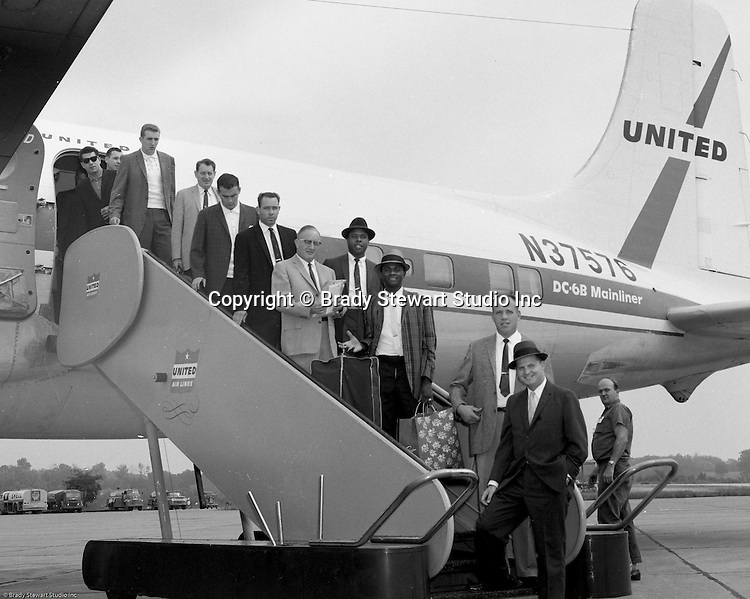 Greater Pittsburgh International Airport: View of the Cincinnati Reds arriving at the airport for a game with the Pittsburgh Pirates - 1960. The on location photographic assignment was for United Airlines. The 1960 Cincinnati Reds finished in sixth place in the National League standings, 28 games behind the National League and World Series champion Pittsburgh Pirates! The highlight for me in this set of images was of the one of Bob Purkey Sr. I had the opportunity to know Bob Sr while playing high school baseball with his son, Bob Purkey Jr. For many years, Bob Purkey Sr had a successful insurance business in Bethel Park Pa.